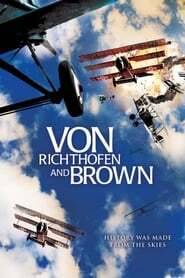 Spend time on both sides of World War I, partly with German flying ace Baron Manfred Von Richthofen (John Phillip Law), aka "The Red Baron," and his colorful "flying circus" of Fokker fighter planes, during the time from his arrival at the war front to his death in combat. On the other side is Roy Brown of the Royal Air Force, sometimes credited with shooting Richthofen down. Officially labeled 'The greatest driver Formula One has ever seen', Schumacher has redefined this elite sport through his ability, dedication, media presence and appeal. The first German to ever win the Formula One World Championship, Michael Schumacher is revered and single-handedly credited with popularizing this sport in his country and beyond.This is an objective look at Schumacher's journey, and the ongoing impact of his contribution to Formula One.